Memorial Day is a time to reflect and be thankful for all those who have served. 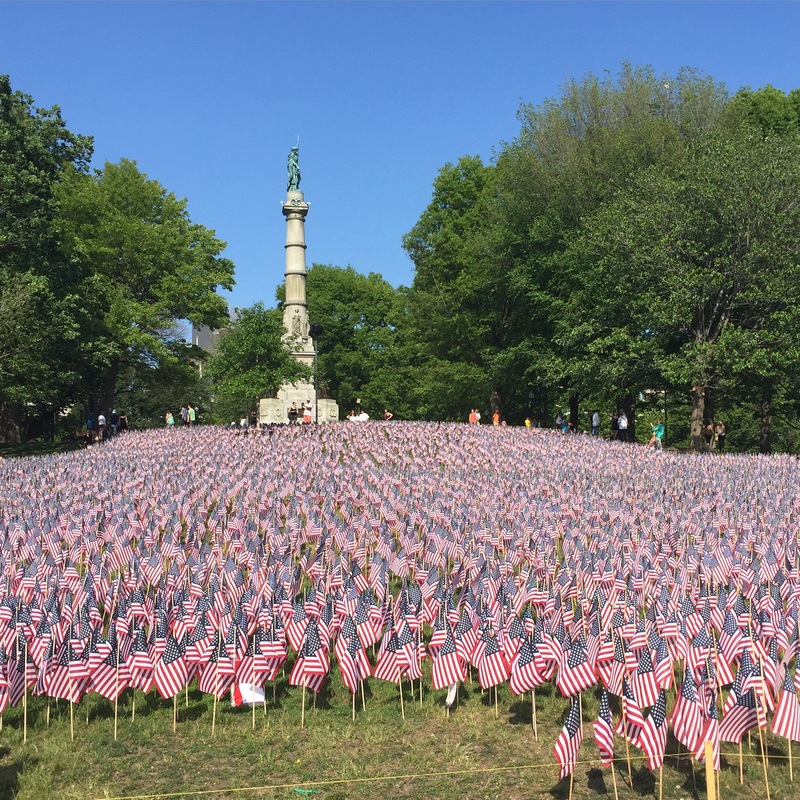 For the last several years, the Boston Common featured a beautiful flag garden with this year showcasing over 37,000 flags in remembrance of Massachusetts service members. 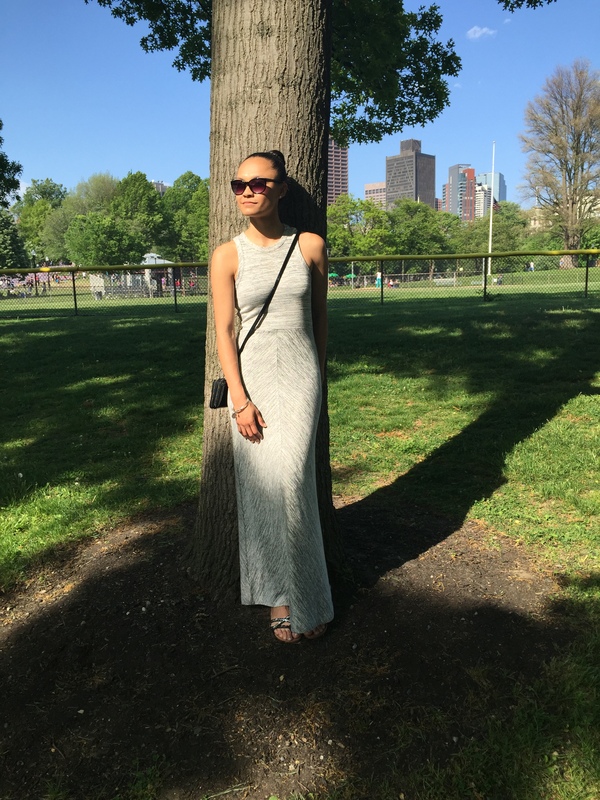 The sun was shining with a slight breeze and I wanted something comfortable to walk the city in – so I opted for a maxi dress. How can I go wrong right? I always have a tough time with length in a maxi dress and finding this gem made me so happy. It is by a brand called Lou & Grey, a newer sister brand to The Loft and Ann Taylor. This spacedye maxi dress is luxurious and extremely comfortable. I paired the dress with a black patent leather cross-body clutch – the perfect accessory for wandering the city. I hope that you had a great weekend! Glad to be back in action on the blog!